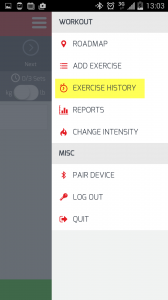 Check Exercise History – How do I look back at my exercise history? 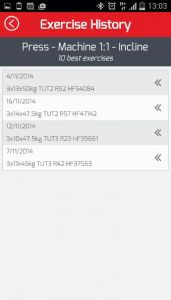 Step 1: Before starting an exercise you can check the exercise history. Click on “Menu” and then click “Exercise History”. Step 2: You will see your top 10 best efforts – in descending order. Delete a bad record by simply swiping it to the LEFT and delete “X”.